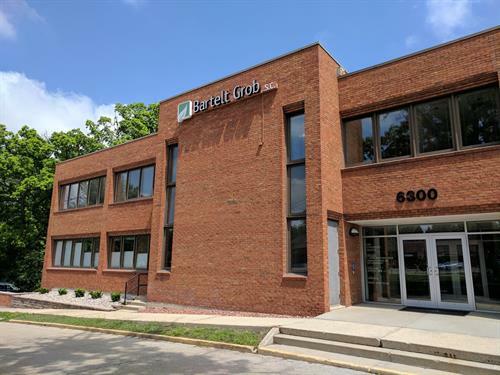 At Bartelt Grob, S.C., a law firm focused on real estate, estate planning and business matters, our experienced attorneys are dedicated to helping people thrive by protecting families, businesses and assets. Real Estate: Representing buyers or sellers, owners, lessors/lessees, and developers, with properties including commercial, office and industrial, multi-family residential, farms, condominiums, assisted living facilities, vacant land and renewable energy projects. We also represent our clients in foreclosures and real estate work-outs, breach of contract, easements and boundary disputes, and court or administrative proceedings. Business Law: Whether starting a new business, buying or selling a business, contracts, or providing on-going legal counsel, our clients include real estate development, renewable energy, professional services, information technology, health or senior care, farm and agriculture, food and beverage service, and retail. When disputes arise, we represent our clients in litigation in state and federal courts. Estate Planning, Trust and Probate Administration: From a simple will to complex trusts, health care directives, marital/domestic partner agreements, guardianships or business succession planning, we can help you with all your estate planning needs. There are a number of ways to transfer property after death, many of which may help your estate avoid probate. After a loved one passes, we work with successor trustees to administer and settle trusts, and if probate is necessary, guide the personal representative through the probate process.